Coming soon! 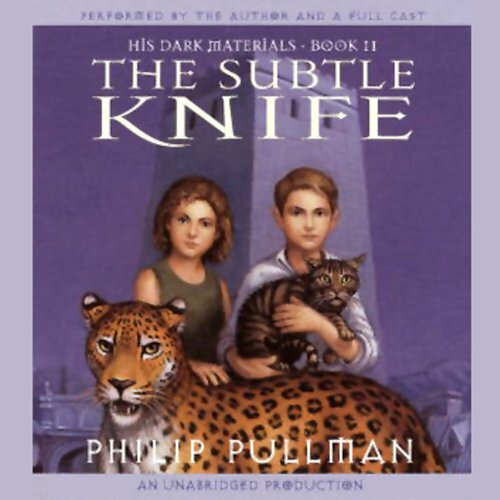 A new HBO series, His Dark Materials, based on Pullman’s books. 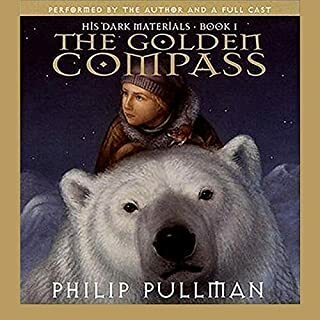 The spellbinding sequel to The Golden Compass, the modern fantasy classic that Entertainment Weekly named an "All-Time Greatest Novel" and Newsweek hailed as a "Top 100 Book of All Time", continues the epic adventure, catapulting listeners between worlds and toward a devastating discovery. Lost in a new world, Lyra finds Will - a boy on the run, a murderer - a worthy and welcome ally. For this is a world where soul-eating Specters stalk the streets and witches share the skies with troops of angels. Each is searching - Lyra for the meaning of Dark Matter, Will for his missing father - but what they find instead is a deadly secret, a knife of untold power. And neither Lyra nor Will suspects how tightly their lives, their loves, their destinies are bound together...until they are split apart. A number one New York Times best seller. 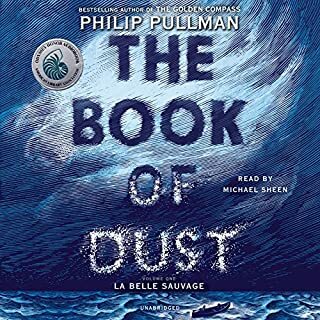 Pullman tackles some really heavy topics this one and still maintains a sense that more is going on than we see. 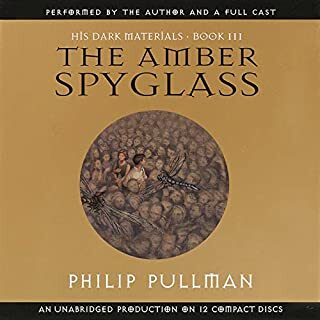 I can't wait to listen to The Amber Spyglass and see where things go! I would say that this book, as with many second books in trilogies, takes a much darker tone than its predecessor. Be prepared for multiple POVs in this one, with Lyra being one of a few main characters to follow. From what I've heard, this is a bit of an adjustment for many readers. 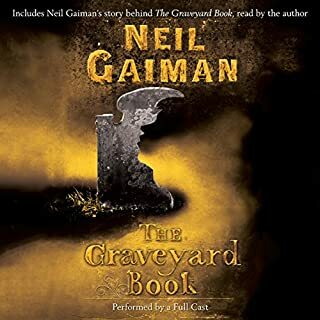 In Book 1, the music that played before each of the three acts of the book made sense and I appreciated it as kind of a bookmark between major segments. 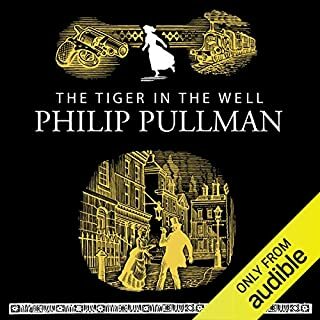 This audiobook plays music between each chapter and it can get a little old. Other than the music, the performance is wonderful. 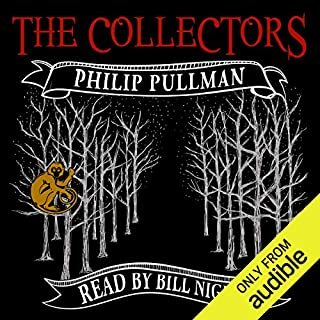 I love that it is narrated by Pullman himself and the voice actors are fantastic. 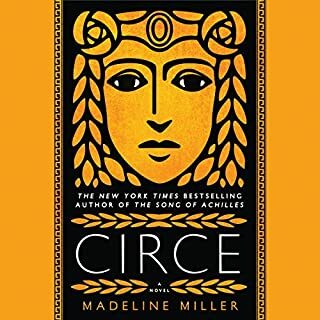 Starting Book 3 tonight! I listen to A LOT of books on audible.com. This and Golden Compass received great ratings except for those who wrote a review. I see this often. I guess we have some literary critics who haunt audible.com. :) I found The Golden Compass and this book wonderful stories. The narration on both were great, and the music didn't bother me a bit. I'm starting the 3rd book with great expectation. If you like a well read, great stories then these books are for you. The second book in a fantastic trilogy! 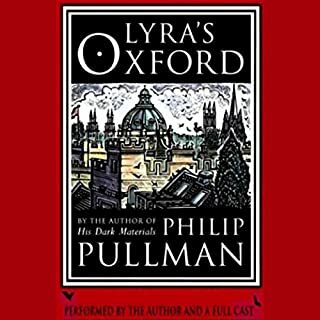 His Dark Materials, of which this is the second book, is a terrific fantasy. While aimed at younger readers, the series holds up brilliantly for adults, as well. 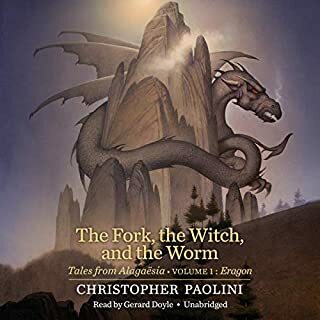 In the second book, Lyra's adventure continues, as she finds herself in another world and discovers Will, a young boy who becomes her companion through the rest of the series. Lyra & Will also find other types of beings in this world, angels and witches; some are helpful, some not so. 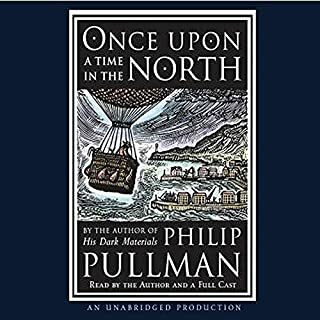 You'll enjoy taking the journey with them, and the narration -by author Philip Pullman and a full cast- helps pull you into the story. 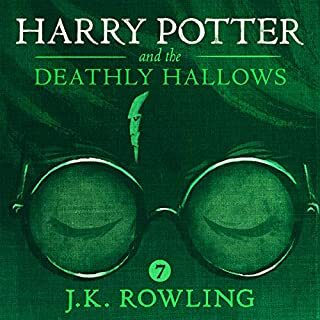 This is the second book of the trilogy, and I thought if anything it surpassed the first with the introduction of new and compelling characters and plot developments. The actors and production are superb. 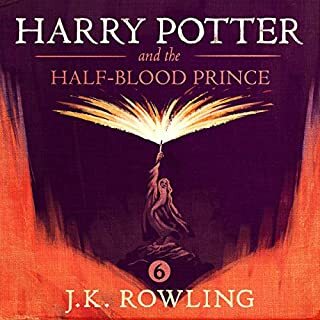 Perhaps the best youth recorded book I have heard, including all of the Harry Potter books. Very highly recommended. Great second book. I love the narration in these books. Each character has it's own voice. The books really come alive. This book is amazing - the narriator is very good as well. I loved these books when I read them - and I loved them just as much while listening. You won't be disappointed. The second part of the trilogy is wonderfully compelling. 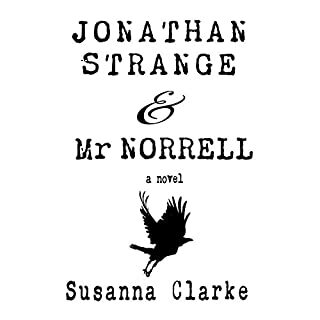 The musical interludes between chapters are terrible -- ear piercing interrruptions to an otherwise great dramatization. I was getting into this book , but towards the end I detected the sound of a grinding axe and the book lost its appeal. I dislike stories created to preach at me without warning. I am going to read the next book just to be sure, but I think this guy is upset at other peoples religious views and is trying to poke at them by forcing it into some kind of skewed version of itself. Fantasy created in the mind of a good writer is just better then when a writer has to use a crutch. I read the Pullman trilogy years ago and it has made me think more than nearly any other books I have read. 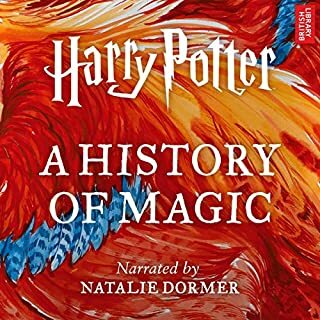 The audiobook is very well done, with a full cast, and really helps you appreciate the layers of storytelling going on. Wonderful characters, wonderful imaginative story. What a great story! I thought the first book was entertaining but this was even better. The cast is great and the book was enjoyed by both my 10 year old son and I. It is easy to follow and very thought provoking. 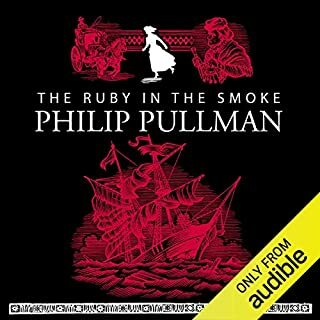 I have listened to close to 50 audio books now and this is the best I have heard. I wish there were more than three books in the series. I hope they make this into a movie. 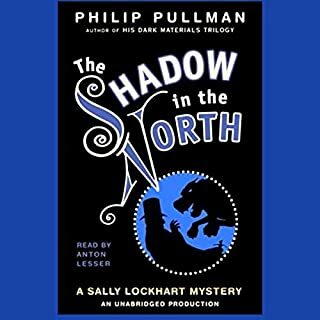 If you read the Golden Compass you have no choice but to continue this series. I wish I could say this was as an enjoyable, but I can't. I can say that it is an interesting, if not a tad confusing. In general the series walks a thin line between young-adult and adult literature. There are times I found it a tad childish, and there are moments when I can't see a child understand the complex story. Like most trilogies, this is an in between story that mostly sets up the next and final book. The production is first rate. 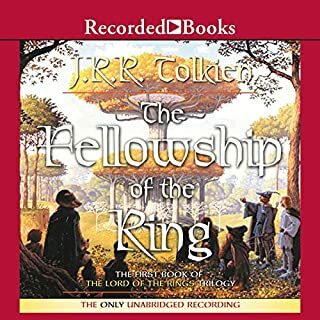 20 year of audio book listening I can say it is one of the best on that level. 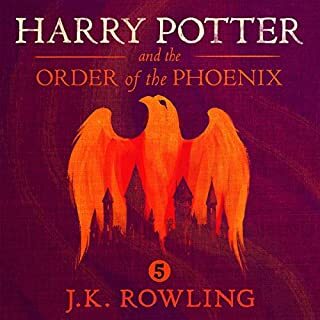 I am half way through the third book and I can say that I look forward to listen to them all again which is something I seldom do.